In today's demanding work culture, I often find I have to create and deliver work yesterday, but when I have done my work is completed and I have delivered the final images, I wait till the work is published before I can put anything on social media or website, and then I wait a little longer & still it can take a year or more before I can share. One exception to this was a recent commission I recieved, the brief was to create images and portraits for Jack Childs, and from initial contact to a live Website took a month. 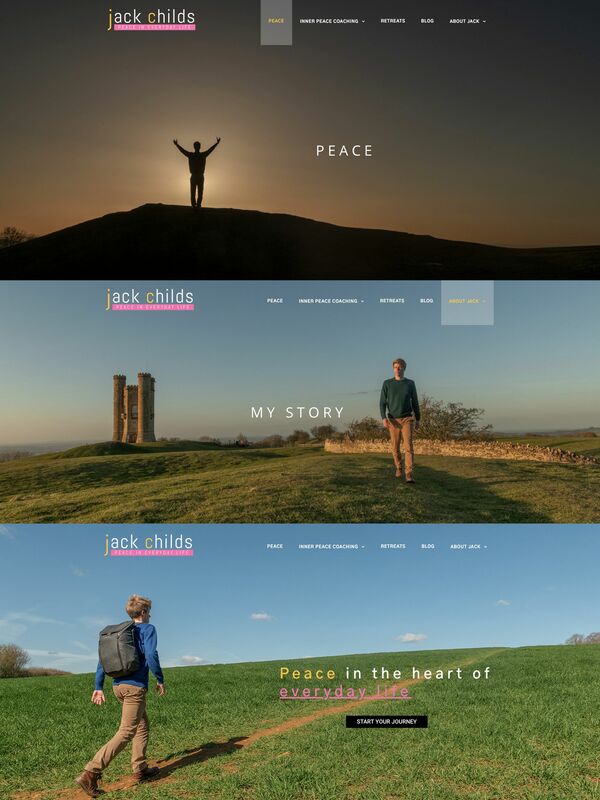 Jack Childs is a remarkable young man who has a great business plan and a great talent, he delivers Inner Peace coaching and required a website to showcase his work and provide the communication to his potential clients. Jack contacted me as his site was already started but it required content, a holding page was used as a template - but 5 key images were required as well as a portrait and a stock of relayted images for social media. There was no layouts or concept other that a limited budget and a tight deadline, that is where I started. I asked about Jack's vision for his business and how he saw that in visual terms, and although he had a sound business plan and was already working, he admitted that he wanted my input and that I was delighted to hear. Based on a few conversations and research I concluded that we should use the local assets and benefit of an early Spring to produce the images on location in the Cotswolds, using the landscapes as visual metaphors for the work that Jack delivers and also to show aspects of his personal journey and that of his potential clients. Abstract feelings, emotions and development are difficult concepts to visually communicate but with the insights that Jack has and with great local locations that Jack or I found in the North Cotswolds the day shoot went on to deliver the required results. On location we had in mind certain images that were agreed before the day, but we were also able to respond to the location and be inspired by the happy accident of trying to get to a location through a bramble thicket, that provided a perfect metaphor for a difficult journey. A wood provided a method to communicate the feeling of been lost, while a path and small hill showed the path to personal goals. I am certainly happy with the results and It was a joy to see the website up and running only days after I delivered the final images. Please check out Jack Childs site here.